Ronin No Sakura Kai Softronics needed a website for its new application, Peanut Gallery. This website was designed to display the functionality of the application and is also used within the program itself via WebKit. 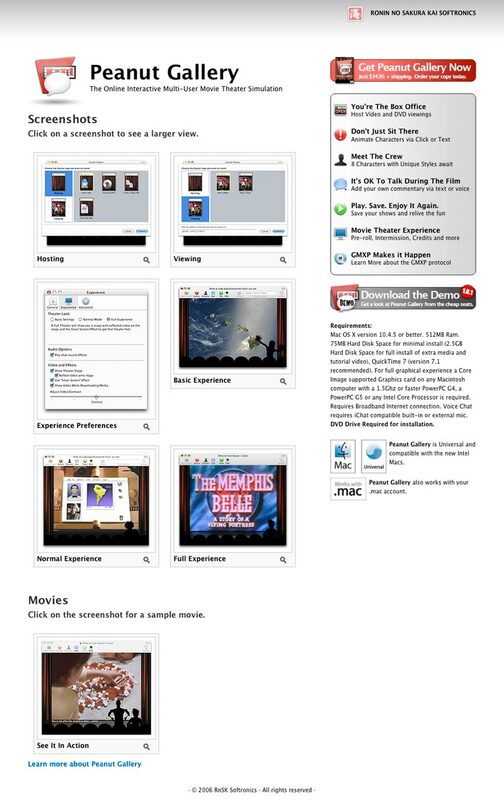 Peanut Gallery allows the user to have a movie theater experience live over a local Bonjour network or the Internet.